Both teams basically swapped their point guards, but winner of this trade is New York. A couple of 2nd round draft picks doesn’t seem much but it could net them a diamond in the rough soon. K.J. McDaniels is averaging 9.2 points, 3.8 rebounds, and 1.3 blocks in just 25.4 minutes. The rookie, who will be a restricted free agent soon, has shown an unbelievable effort on the defensive end. Canaan, who has come a long way from the NBA D-League, is still a solid guard but the Rockets got the better of them. In one of the more surprising moves made today, 76ers got rid of their best player for a draft pick that is heavily protected (1-5 in 2015, 1-3 in 2016 and 2017, and unprotected in 2018). When will Sam Hinkie build a competitive team? Milwaukee also moves their best player, Brandon Knight who is having an all-star season, for a washed-up center and the upside of Tyler Ennis. Phoenix wins this trade, having replaced Dragic and Isaiah Thomas (more on those two later) with a very good point guard that should play with ease along Eric Bledsoe. Having already acquired Brandon Knight, Phoenix has successfully managed their overcrowded back court by trading Isaiah Thomas. Danny Ainge, Boston’s GM, recruited Isaiah Thomas during the offseason and finally got his player by trading Marcus Thornton, a seldom used shooting guard, and a 1st round pick. I was expecting Brooklyn to make a move, but this was one of the last things they would have done. Aside from moving their 3 highest paid players, they settled on Kevin Garnett, who is in his last year of his contract, for Thaddeus Young, who still has a year left after this season. Young is still a good player defensively, but adding another contract to a fully-booked cap space is a big no-no for the nets. No wonder Mikhail Prokhorov wants to sell this team. Flip Saunders, KG’s last coach before leaving the Timberwolves for Boston, is expecting Garnett to play as the poster child and give the fans in Minnesota something to cheer about as they end this season in a very low note. 7 players in a 3-team blockbuster deal. OKC is the biggest winner of the 3, having acquired Enes Kanter and DJ Augustin, who played with Kevin Durant during college in Texas. UTA is expected to buy-out Kendrick Perkins’ contract, making him a free agent very soon. Reggie Jackson finally finds a new home, a wish he has been asking for ever since seeing his playing time suffer with the arrival of Dion Waiters. Detroit would have a great young back court that will include Brandon Jennings, who is currently recovering from a torn Achilles that ended his season. Denver has been shopping McGee but found no market for the athletic center currently in a contract that would pay him $11mil a year. Enter Philadelphia. Even if the trade includes OKC’s 2015 1st round pick that is top-18 protected, they somehow got an overpaid center after trading away their 2 best players in Carter-Williams and McDaniels. I feel bad for all the 76ers fans around the world. The Nuggets have moved their best perimeter defender, Afflalo, for Thomas Robinson, who plays the game very hard but lacks the basic fundamentals, and Will Barton, the speedy guard that could be a good running mate for Lawson. Portland strengthens their bench with Arron joining the second team. He could also replace Nic Batum in the line-up, who has been struggling for the Trailblazers as of late. Finally, the Dragic brothers found some closure and will join a team that is desperate to pick up the pace. Norris Cole could be a good fill-in guard for New Orleans while Jrue Holiday recovers. Expect Danny Granger and Shawne Williams to be bought out by their respective teams. Phoenix, who earlier acquired Brandon Knight, made the right choice by moving a player that doesn’t want to be there. All in all, there were a total of 37 players that found themselves looking for a new place. In comparison, the average number of players traded in the last 4 years was only 24. I just hope that all moves pan out for all teams. We’re headed to a very exciting and crucial 2nd half of the season for everyone! 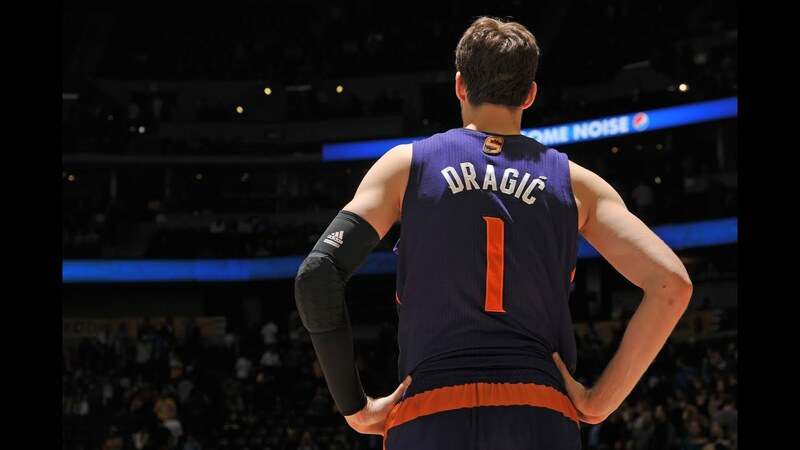 Los Angeles Lakers have decided against trading for Phoenix’s Goran Dragic. Phoenix wants to include LA’s top 5 protected pick that came from them during the Steve Nash trade, and they also want to remove the condition. Multiple reports are saying that the Lakers would not make any “big” moves by deadline tomorrow. They are still prepared to offer Dragic a 4 year, $80mil contract in the offseason. Another Phoenix target for the Lakers is Miles Plumlee. Plumlee has struggled to get playing time again, with the resurgence of prized asset, Alex Len, and uber-athletic center, Brandan Wright. Despite having Carlos Boozer, Robert Sacre, Tarik Black, Ed Davis, and Ryan Kelly, Los Angeles still want to add depth to their front court. New York Knicks are also inquiring about Miles Plumlee, though their reluctance of his 2nd year (that pays him only $2.1 mil) is halting negotiations. Carmelo Anthony also announced that he won’t be playing for the rest of the year, after having surgery on his left knee. The big ticket, Kevin Garnett, could be on his way back home in Minnesota, with the Timberwolves looking to acquire their legend (and his expiring contract) from Brooklyn. Minnesota is read to sell Thaddeus Young and another player to make the cap works (possibly Robbie Hummels – http://espn.go.com/nba/tradeMachine?tradeId=mxpj479) for KG. It’s understood that Garnett will not be returning to the NBA after this season. It would be a wonderful look to have KG play his last game, in his 1st team. Brooklyn is reportedly very close to acquiring Detroit’s Brandon Jennings for Joe Johnson. “Iso Joe’s” contract makes him one of the 2 most paid players in the NBA (Kobe Bryant) with an annual salary of $23 mil. Detroit could include Jonas Jerebko, Anthony Tolliver, and Joel Anthony, along with Jennings for Joe Johnson and Alan Anderson (both players still have 2 years left in their contracts – http://espn.go.com/nba/tradeMachine?tradeId=qgdx8vo). If the trade does push through, Jennings won’t still be able to play in the Barclay Center throughout the season, after suffering a torn Achilles. The Nets had Brook Lopez at their trading block, before pulling him off because of a weak market for the big man that has been plagued with foot injuries. Oklahoma City reportedly offered a package surrounding Kendrick Perkins (http://espn.go.com/nba/tradeMachine?tradeId=mwvjp3z). Brooklyn balked at the offer, wanting OKC to include Reggie Jackson, who has requested a trade from the management. Miami Heat also inquired about Brook Lopez’s availability, looking to add front court help that already consists of Chris Bosh, Hassan Whiteside, Chris Andersen, and Udonis Haslem. They don’t have any assets though for Brooklyn to even consider. Denver, currently bringing the house down, offered Javale McGee, JJ Hickson, and a 1st round pick for Lopez, but was rejected as both players’ contracts would still take into effect after this season (http://espn.go.com/nba/tradeMachine?tradeId=m73kffk). Denver’s Ty Lawson is currently on the trading block, and coach Brian Shaw wants to add George Hill from Indiana (http://espn.go.com/nba/tradeMachine?tradeId=okry6y7). Lakers had interest, having Lawson as their Plan B if they couldn’t get Goran Dragic, but have since been very quiet. Denver’s Arron Afflalo is also currently being discussed with the Portland Blazers the favorites to land him, and George Karl from the Sacramento Kings, who coached him during his tenure with Denver, also are looking to add the spot up shooter. Stay tuned to this page for more updates as we approach the NBA Trade Deadline. After signing Isaiah Thomas during the preseason, the Phoenix Suns are in a predicament with their other guard – Goran Dragic. Dragic’s averages in points (20.3) and assists (5.9) last year went down to 16.2 and 4.1 points and assists respectively even though there was a slight decrease in minutes played (33.4, down by 2 from last year’s 35.1). Billy Duff, Goran’s agent, has already filed a formal trade request from the Suns, with the team agreeing to move Dragic a couple days before the trade deadline. Phoenix were aggressively shopping Isaiah Thomas despite a productive year for him off the bench (15 ppg in 26 min). Dragic has also provided 3 teams that he’s willing to sign an extension: Los Angeles Lakers, New York Knicks, and the Miami Heat. Out of the 3 teams provided, New York is the best fit for him. God knows the Knicks need all the help they can get, and an upgrade over Langston Galloway in the point guard spot is the best first step for the struggling franchise. Lakers could use his talent as well, but with Jordan Clarkson continuing to develop, and the team looking to draft the uber-athletic Emmanuel Mudiay, it may not worth it to get him over the assets that the Lakers have been saving. Miami also needs a more consistent point guard, with Mario Chalmers, Norris Cole, and Shabazz Napier all struggling for Fil-Am coach Erik Spoelstra. New York will not include their lone 1st round pick, especially now that it looks like it could nab the 1st draft position with 25% chance (through having the worst record). Andrea Bargnani, the former #1 pick in the 2006 NBA Draft, has struggled with injuries while Jason Smith has been terrific off the boards and playing heavy minutes for a team that is weak in the front court. Both players have expiring contracts at the end of season, putting the Suns in great position to sign marquee players and put them over the conversation as one of the league’s best. Phoenix’s Dragic brothers both have 2 years left (with Goran having a player option that he would most likely decline). Phoenix would still have a very crowded back court. PJ Tucker, Eric Bledsoe, Isaiah Thomas, Gerald Green, TJ Warren, Tyler Ennis, Reggie Bullock, and Archie Goodwin will still be left fighting for minutes. Bullock seems to be the odd man out, having struggled to be journeyman around the league. NY gets its second star in Dragic, with a couple of good back court players. PHX improves team chemistry, while adding front court help for Alex Len, Brandan Wright and Miles Plumlee. A hero returns. It’s no secret that Steve Nash will not be returning at the end of the season, with chronic knee and back injuries making it hard for him to play. Playing his last games or, at least, wearing a Suns jersey in his last season would be a cherry on top of a wonderful end to Steve Nash’s career. But are the Lakers willing to trade their 1st round pick, even though it could give them a top five pick (the draft pick is top 5 protected only)? Ironically, if the draft position falls below 5th, the Suns would get that pick back after including it in the Steve Nash trade in 2012 to….. the Lakers. Another option that both teams could explore is Jordan Hill (http://espn.go.com/nba/tradeMachine?tradeId=ophbtko). The current starting center for LA has been playing very well, after signing a questionable 2yr-$18mil contract with a team option in his 2nd year. Hill has been averaging 12 points and 8 rebounds per game in 28 minutes of play, showing an average post game that is enough to space the floor. Lakers could opt not to include their 1st round pick, a tough sell for the Suns, but the addition of an offensive center over their current players should at least be enticed to consider. Phoenix could also hope that that 1st round pick would drop to 6th. Looking at the players Miami currently have, it’s going to even start a trade negotiations with them. Their best player, Chris Bosh, is on his first of a 5 year contract that will pay him north of $20 mil, while Dwyane Wade, who has been struggling with injuries yet again, still has another $15 mil left. Miami’s Chris Andersen is surprisingly the team’s 5th best PER player, averaging 5 points, 5 rebs and 1 block in just 20 minutes of play. Unfortunately, Miami’s Hassan Whiteside will not be included in any trade talks thanks to his very affordable $800k a year contract. Norris Cole has been struggling for Miami, but still a feisty defender (a poor man’s Patrick Beverley). Jordan Hamilton can be a good back up to the Morris brothers, helping the team space the floor for their guards’ iso play. Chris Andersen is still a reliable defensive post player, but he still has a year left with $5mil that could hurt the Suns’s financial play. Miami could only sweeten the deal by adding their picks for the next 2 Draft sessions. Don’t count out the Rockets and Darly Morey, even if they’re not part of Dragic’s list. Houston could easily move Jason Terry (currently on an expiring contract of $5.8mil), Kostas Papanikolau, and their lottery pick for a guy like Goran Dragic. Imagine a lineup consisting of Dragic-Harden-Ariza-Josh Smith/Terrence Jones-Howard. It sure would make some noise during the Playoffs. It’s all up to Goran if he wants to play 2nd or 3rd fiddle again to James Harden and Dwight Howard. Amar’e Stoudemire will be clearing waivers, and will be on his way to Dallas. Golden State and San Antonio were also interested of the former Rookie of the Year. Stoudemire’s career has been halted numerous times thanks to knee injuries that continue to derail him. But there were still moments of brilliance from STAT (Standing Tall And Talented). I’m sure he still has enough gas left for a couple more years deep into the playoffs. Lance Stephenson‘s demand has quieted down a little bit but Brooklyn could still get their hometown kid by the trade deadline. His play really has suffered after a successful career in Indiana with Paul George, and no better way to have his confidence back in full speed with his hometown supporting him. Speaking of Brooklyn, they’re also in fire sale mode despite being just 1 game behind the 8th spot. Reports have been surfacing that Brook Lopez, Deron Williams, and Joe Johnson (all were considered franchise corner stones) are available. There is still demand for Brook Lopez, but the center has been plagued with foot injuries, while Deron Williams’ ankles have been susceptible to injury after a great start to the season. Joe Johnson’s hefty $23mil contract still has a year left after this season. A massive trade is needed if Brooklyn wants to get 2 of their 3 big players out of their area (http://espn.go.com/nba/tradeMachine?tradeId=nc5zhte). Denver Nuggets are also in a selling spree. There are rumors that Coach Brian Shaw has lost most of the locker room’s respect, so he really needs a massive shake-up of the team. It wouldn’t be surprising to see Wilson Chandler or Arron Afflalo move to another team, with Chicago Bulls inquiring about the availability as they need wing scorers for a deep run in to the playoffs. This entry was posted in Basketball, NBA, Players. Bookmark the permalink.